Today is National Pie Day and what perfect timing. The temperature across the UK has dropped, it’s the middle of the week and nobody’s been paid since before Christmas – what better excuse than to take comfort in a pie! Holmach has a range of thermal processing solutions for pie fillings, from cooking the mixture, to filling and retorting canned pies. For meat-based pies, Lagarde’s retorting technology has the capability to reduce the cooking time of flavoursome cuts of meat, such as brisket, shin and shoulder of beef, that may be considered less tender. The retort’s steam and air technology breaks down the the connective tissue whilst keeping the meat succulent, using a low, slow process. Comparable organoleptic results can be achieved in just over a third of the time of a conventional steam oven or other water-based methods. For fruit fillings, Roboqbo’s steam-jacketed processing vessel can provide quality results in minutes, whilst retaining the fruit’s natural, vibrant colour. The length of cooking time is easily adjusted and different mixing and cutting blades ensure the fruit is the texture and size required. Heat is transferred by adding steam into the insulated jacket. This means that the product within the vessel is gently heated during the mixing process, alleviating the risk of sticking or burning. This is particularly suitable for caramels, custards and curds, where accuracy and control are key to their success. Of course, not all pies are pastry topped. The Aeroqbo aeration tool creates perfectly light and fluffy meringue, whether that’s egg white based or an aquafaba vegan alternative – perfect for lemon meringue pie. Veganuary? Dieting? No problem! You can have your cake pie and eat it! 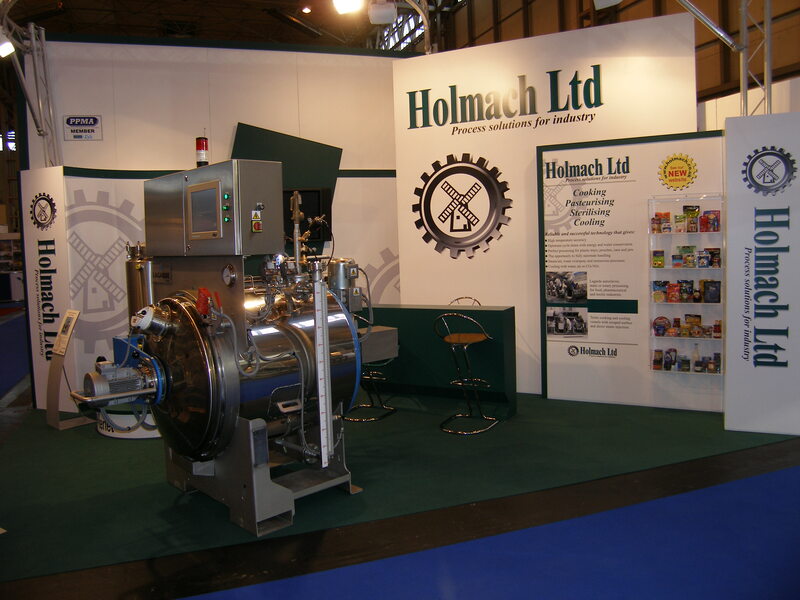 Find out how Holmach can solve your thermal processing needs, call 01780 749097 or fill in the enquiry form.